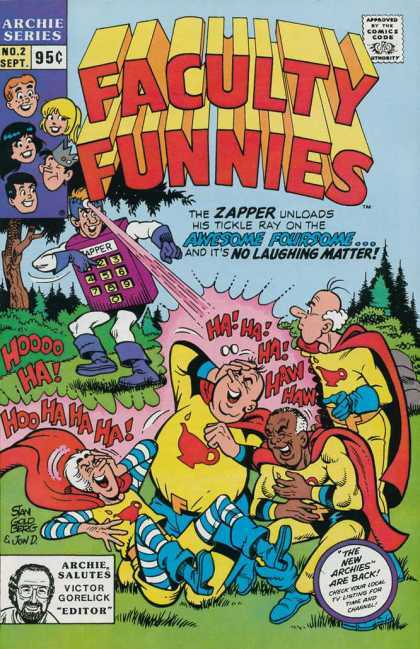 Faculty Funnies ran for five issues and featured the faculty of Riverdale High imbued with superpowers. Professor Flutesnoot invites the other faculty members to an advance viewing of the science fair projects, and Archie's entry explodes, giving the faculty superpowers. Ms. Grundy gains the ability to stretch her right arm as if it were rubber. Coach Clayton gains "super lung" abilities. 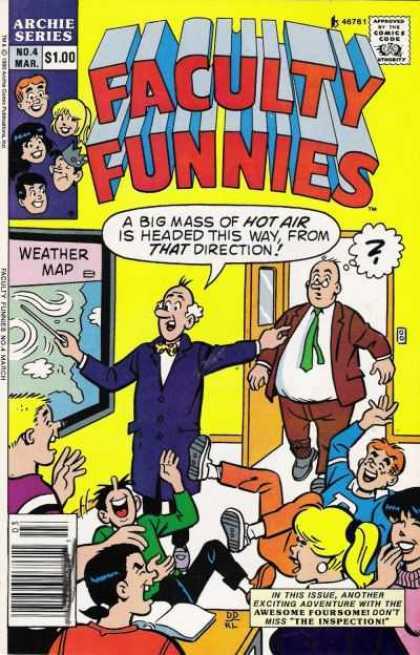 Mr. Weatherbee is given "trouble-sense" alerting him to nearby danger. Professor Flutesnoot is given the ability to withstand electrical shock. Their powers were reversed in the fifth issue.